(JTA) — Supreme Court Justice Ruth Bader Ginsburg says she hopes to remain on the court for another five years. “My dear spouse would say that the true symbol of the United States is not the bald eagle — it is the pendulum. And when it goes very far in one direction, you can count on its swinging back,” she said. 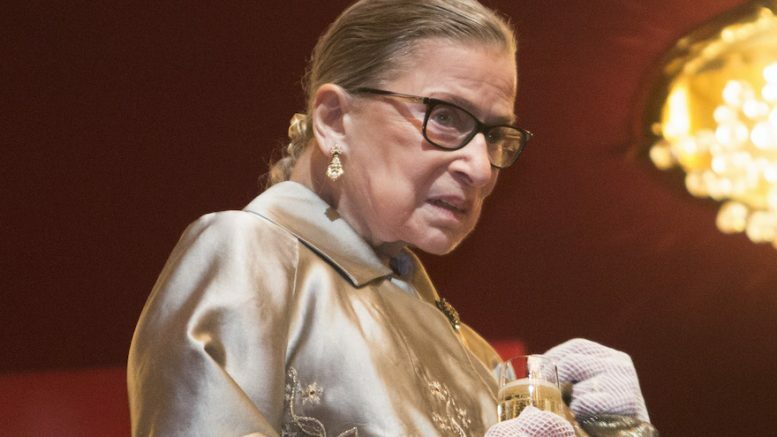 Be the first to comment on "Ruth Bader Ginsburg says she plans to spend 5 more years on Supreme Court"